Upon the outbreak of war, the British Royal Navy was deployed globally, whilst the Imperial German Navy was concentrated in two areas - Home Waters and Tsingtao, the home port of the crack East Asia Cruiser Squadron which, under the command of Admiral von Spee contained some of Germany's most modern cruisers. As Spee made his way to the Chilean port of Valparaiso, he met the British 4th Cruiser Squadron which had been ordered to engage and defeat the German force. This resulted in the battle of Coronel where the antiquated British warships proved no match for Spee's modern cruisers. 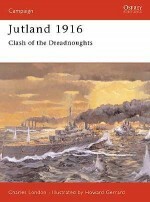 It was the first naval defeat suffered by the Royal Navy in over 100 years. When news reached London, panic reigned and two ships HMS Inflexible and Invincible were sent to lead the force against Spee. When bad weather delayed the German arrival, Spee knew that he had to stand and fight, unaware that amongst the ships opposing him were two modern battlecruisers which outclassed any of his own squadron's ships. Given the presence of Inflexible and Invincible, the result of the battle had an inevitable outcome and after several hours hard combat, Spee's ships were defeated. Born in London in 1964, Mike McNally is an acknowledged expert on the Williamite War in Ireland and acted as a consultant in a recent study of President Barack Obama's Irish roots. Married, with three children, he is the author of best-selling studies of the pivotal battles of the Boyne and Aughrim is is currently studying the role of the Irish Brigade in French service from the Boyne to Fontenoy. 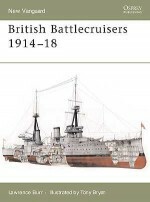 The author of several books for Osprey, with his varied areas of interest he continues to research such diverse subjects as Irish military history, the campaigns of Marlborough and the German colonial campaigns during World War I.